Minimum of 3 years experience in Software Quality Assurance in a financial services firm, including writing manual tests, test automation execution. Hands-on experience in Dynamics AX Testing is an added advantage. Exposure to following technologies: SQL, C#, XML. Salary: INR 3,50,000 – 8,50,000 P.A. Address: 6th Floor, Maximus Towers 2A, Mindspace, HUDA Techno Enclave, HITEC City, Hyderabad 500081. Should have good SQL skills. Ability to work well in a team environment and independently, while tackling complex problems. Good Understanding of Issue Management system. Should have a Good knowledge in testing methodologies. Should possess System, functional, Integration, Regression, Acceptance and Testing Skills. Should have Good understanding of Integration testing concepts. Strong knowledge & Hands on experience with Selenium tool with at least one year. Should able to perform reviews. Good & Effective Communication Skills. Automation Tool Selenium with one year. Address: Karvy Data Management, 1st floor, Above vijayanagar TTMC Bus stop,Bangalore. Contact Person : Jayaraj -9900383888. Experience in Developing Automations for Dynamics AX Modules using X++ or Experience in Automation and frameworks using C#. Salary: INR 4,25,000 – 9,25,000 P.A. Sonata Software, headquartered in Bangalore, India, is a leading IT consulting and services company. Sonata’s customers are located across the US, Europe, Middle East and the Asia-Pacific region. Its portfolio of services includes IT Consulting, Product Engineering Services, Travel Solutions, Application Development, Application Management, Managed Testing, Business Intelligence, Infrastructure Management and Packaged Applications. As per the industry rankings released by NASSCOM for 2008-09, Sonata Software figured among the Top 20 IT Software Services Exporters in India for the second consecutive year. Sonata Software has also been ranked Global #2 in the 2008 Top Ten ESO : Outsourced Software Development in The Black Book of Outsourcing. Immediate Opening for Automation Testing @ Vee Technologies. Working with IT and Business organizations to perform integration, regression and acceptance testing. Experience in defining automated white box test cases. Obsessed with great user experience and able to put on the customer hat. Company Name : Focus Softnet Pvt. 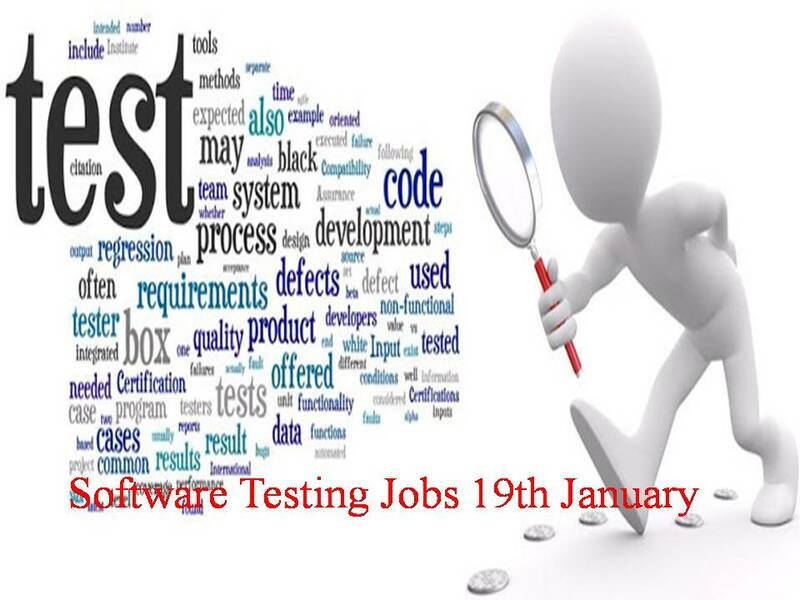 Ltd.
Freshers Trained in Software Testing is mandatory. Must have excellent knowledge of Manual / Automation Selenium. Good in Writing Test Cases.